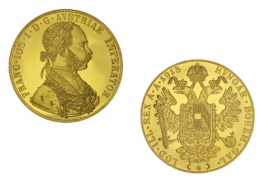 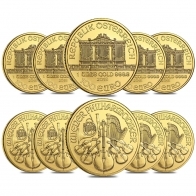 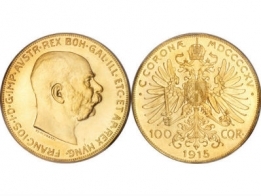 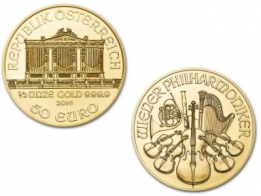 Buy Austrian Gold Philharmonics, including 1 Ounce Gold Philharmonics, 1/2 Oz, 1/4 oz and 1/10 oz gold Philharmonics. 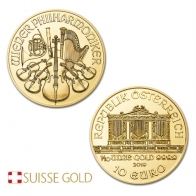 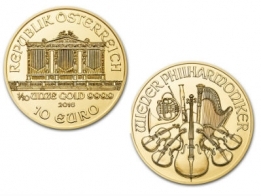 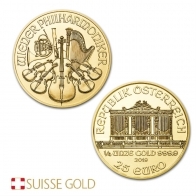 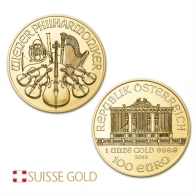 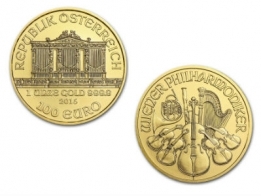 The 1 Ounce Gold Philharmonic coins are available in Euro or Schilling denominations, depending on the year. 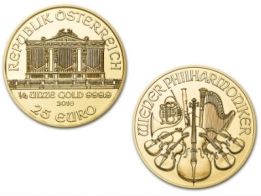 Gold Philharmonics are very popular amongst European gold investors. 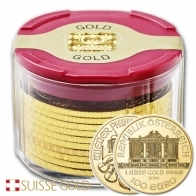 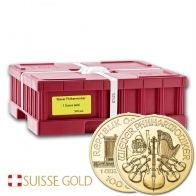 Suisse Gold sells gold Philharmonics for secure vault storage or worldwide delivery.